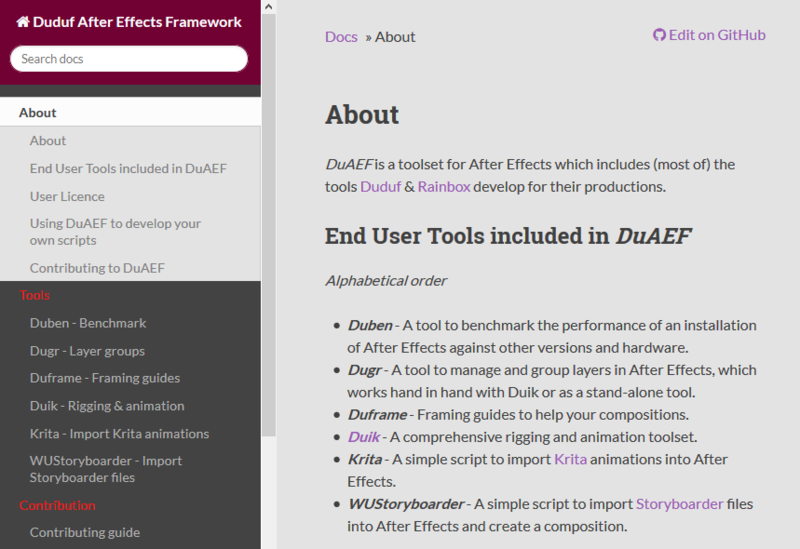 We’re very pleased to announce that the new online documentation for Duik (and other tools) is now available on duaef-docs.rainboxprod.coop! You can contribute to this documentation! Actually, your help is very welcome, at least to proofread all of these documents. The “More…” button in the help panel of Duik will redirect to this new documentation in the next update. This entry was posted in Duik and tagged Duik, User Guide. Bookmark the permalink.